Ownership – The customer fully allows Green Locksmith a licence to enter upon the premises in which any products are installed and remove the products at any time until payment for the products, services and any other money owed to Green Locksmith is made. Jurisdiction – Each user understands and agrees to submit to the personal and exclusive jurisdiction of the courts of the country, state, province or territory determined solely by Green Locksmith to resolve any legal matter arising from this agreement. If the court of law having jurisdiction, rules that any provision of the agreement is invalid, then that provision will be removed from the Terms and the remaining Terms will continue to be valid. Limitation of Liability – You understand and agree that Green Locksmith and any of its subsidiaries or affiliates shall in no event be liable for any direct, indirect, incidental, consequential, or exemplary damages. This shall include, but not be limited to damages for loss of profits, business interruption, business reputation or goodwill, loss of programs or information or other intangible loss arising out of the use of or the inability to use the service, or information, or any permanent or temporary cessation of such service or access to information, or the deletion or corruption of any content or information, or the failure to store any content or information. 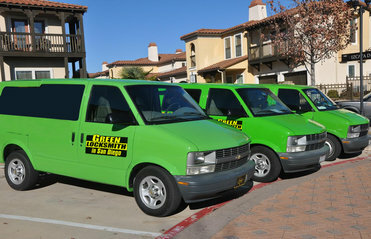 External Content – Green Locksmith may include hyperlinks to third-party content, advertising or websites. 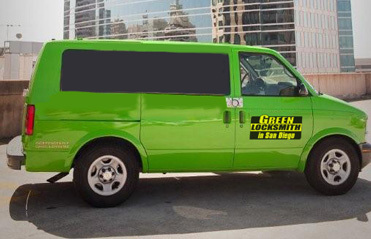 You acknowledge and agree that Green Locksmith is not responsible for and does not endorse any advertising, products or resource available from such resources or websites. Payment – The price payable for products and services will be the price specified in any order, or agreement. Where no price is specified, Green Locksmith standard price for the product or service at the time of the order will apply. Acceptance of Terms – You understand and agree that the above Terms that constitute the entire general agreement between you and Green Locksmith. You may be subject to additional Terms and conditions when you use, purchase or access other services, affiliate services or third-party content or material.